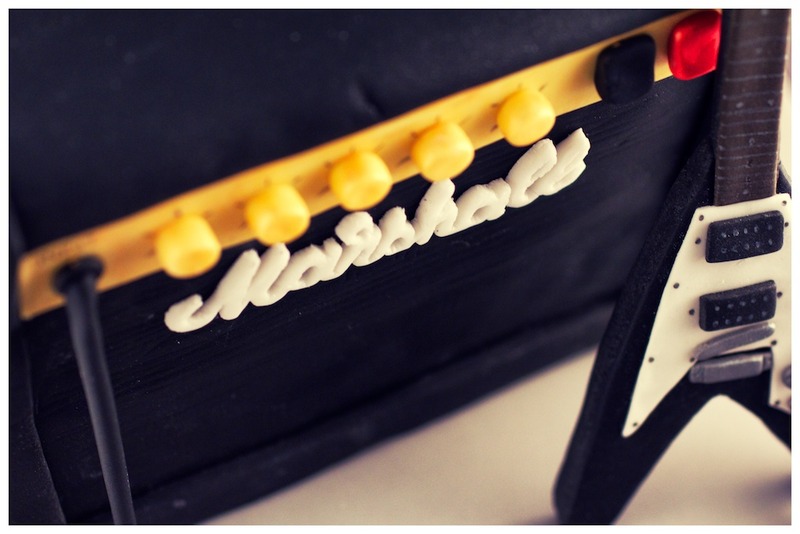 6x6x4" 4 layer vanilla sponge & buttercream filled cake. 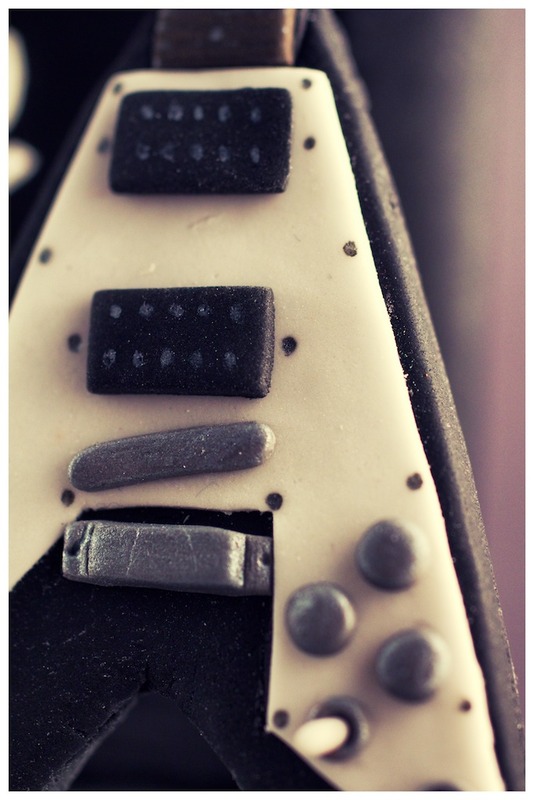 Covered in black fondant/sugar paste and gum paste detailing. 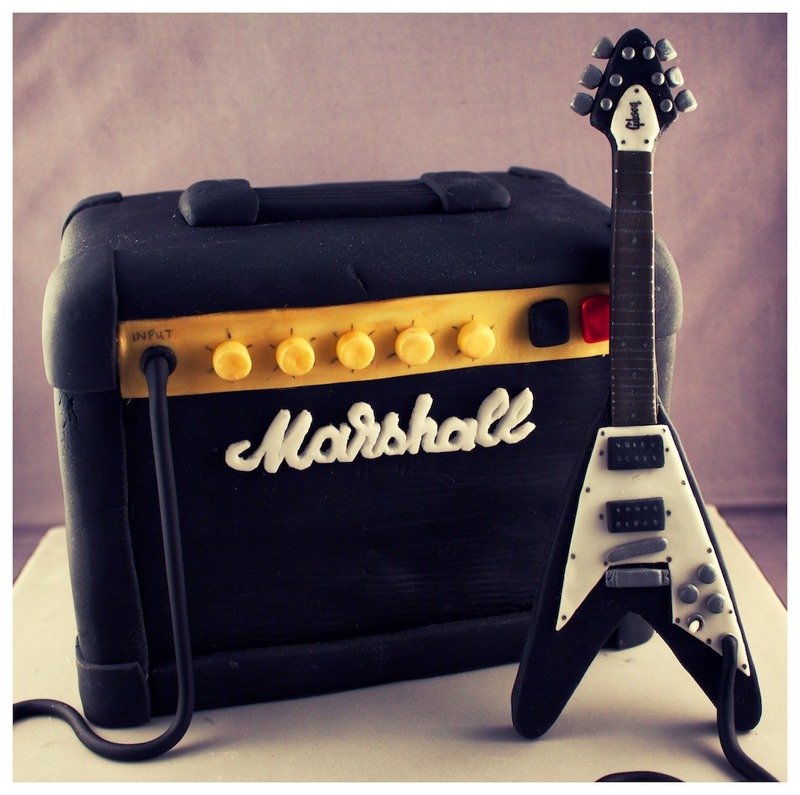 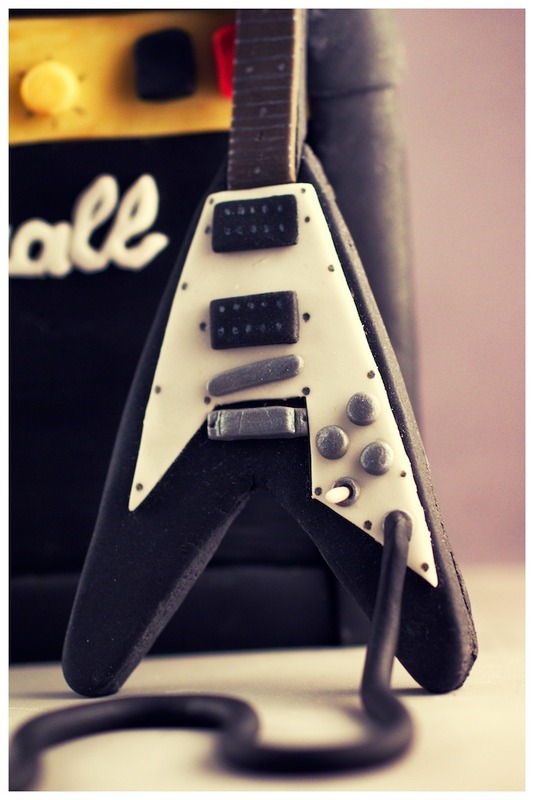 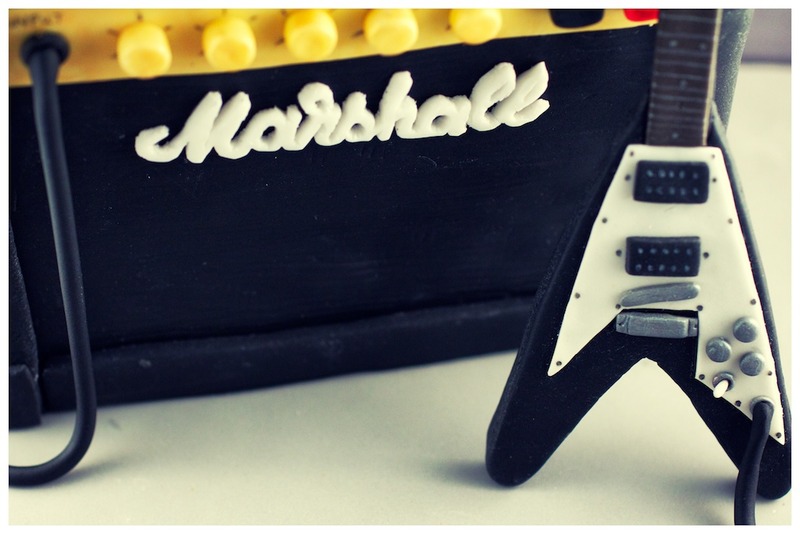 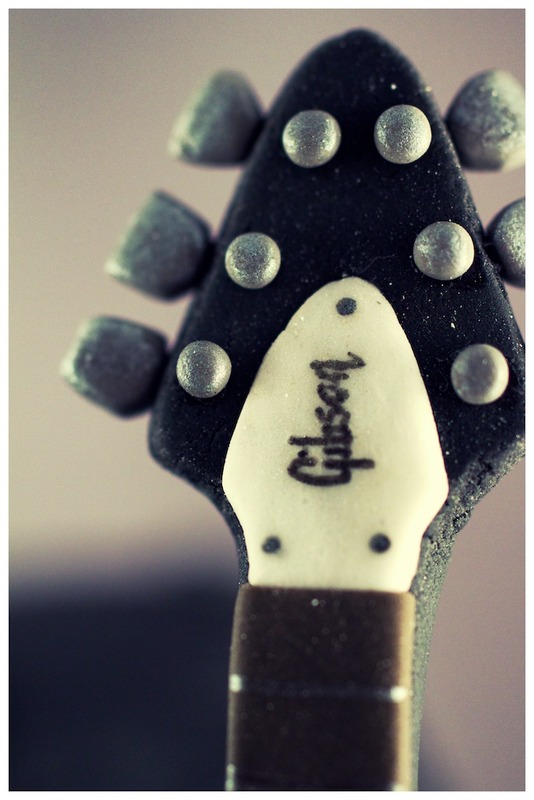 Complete with a hand made detailed gum paste Gibson Flying V guitar.